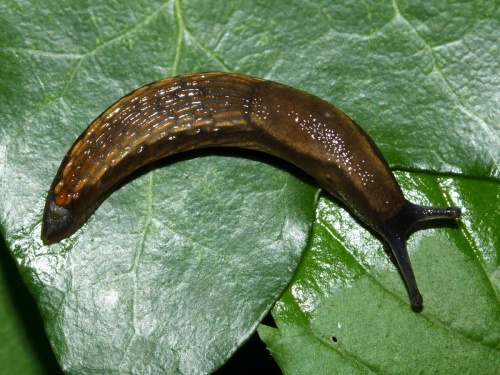 Length: 50 to 70 mm. 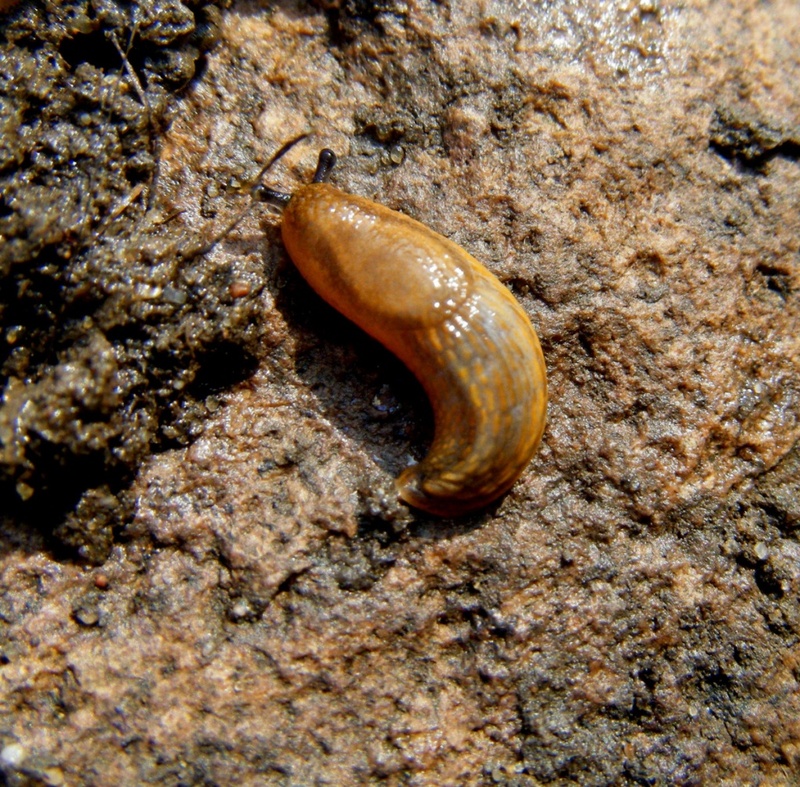 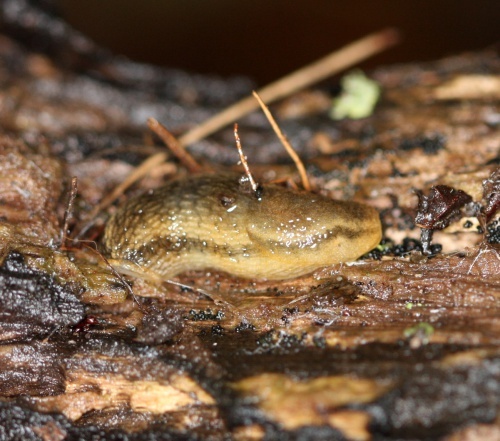 This slug comes in various shades of yellows and browns. An important identification feature is the body mucus which stains orange on your finger (stroke the tail end). 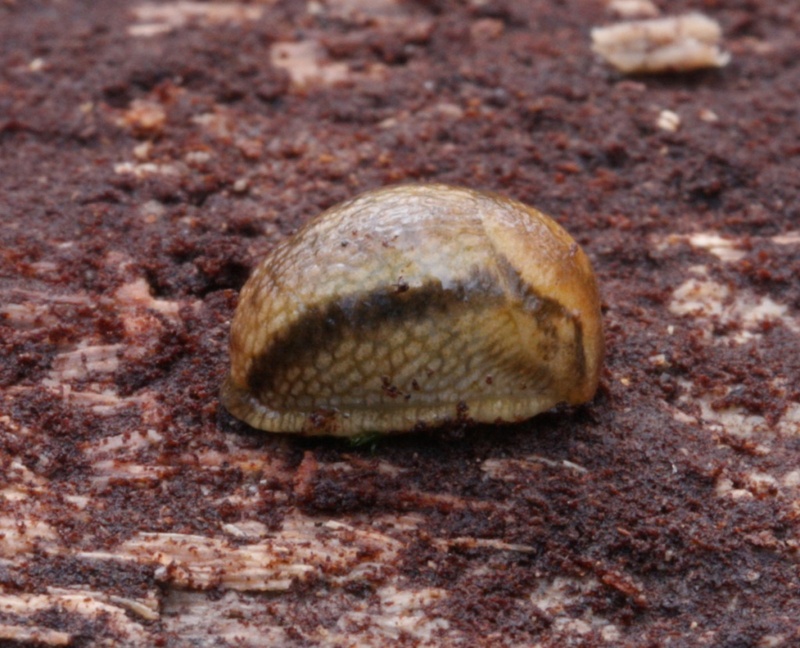 The body contracts to an elongate dome. 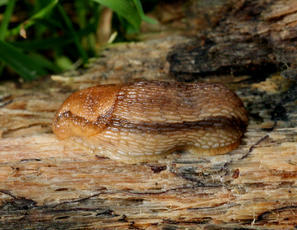 It usually has two dark lateral bands, fairly high on the body. 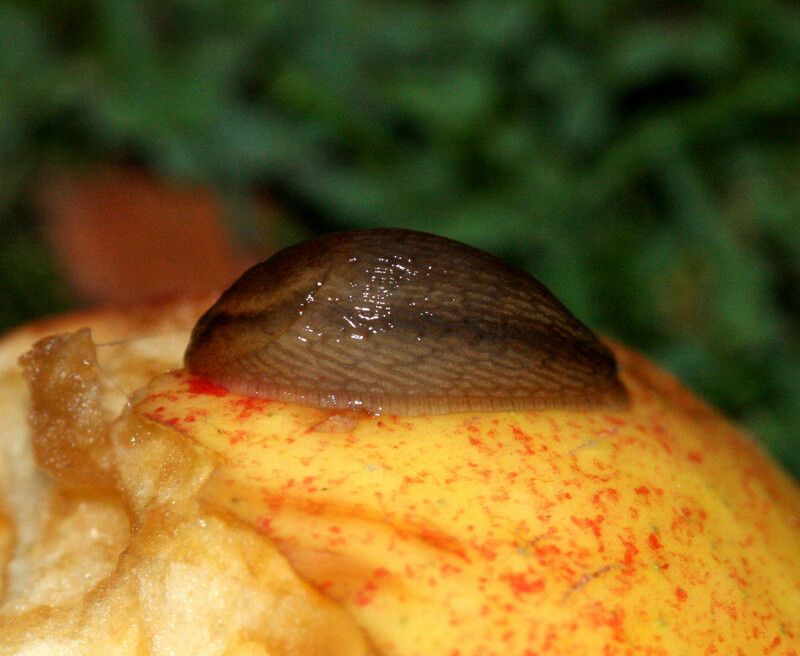 The sole is pale and the sole fringe blends in with the body. 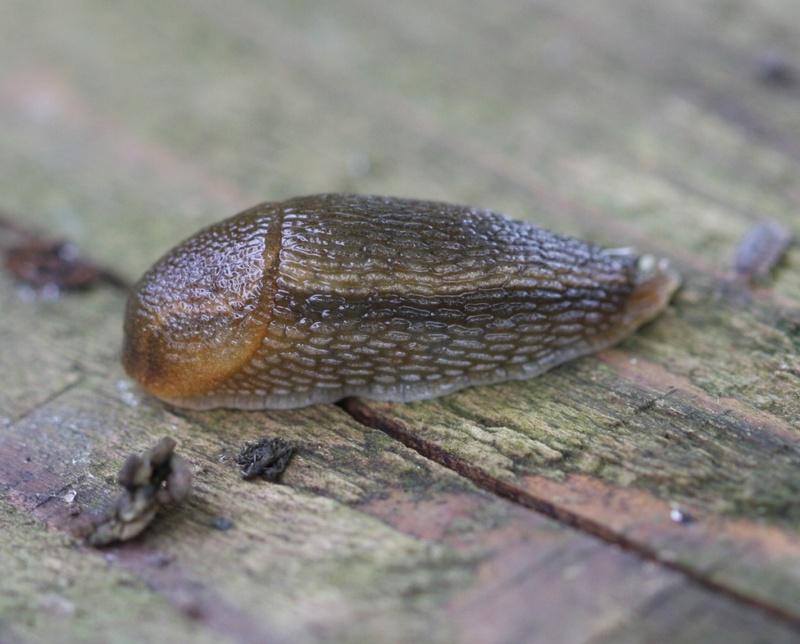 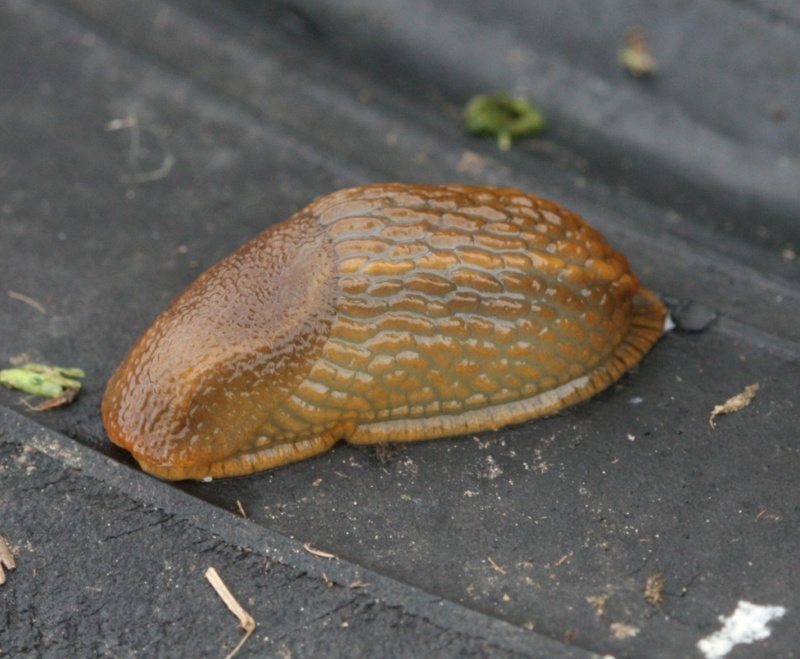 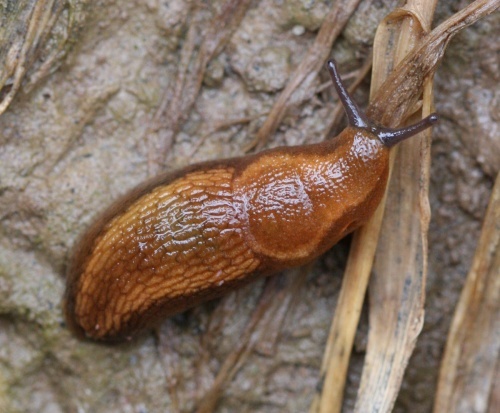 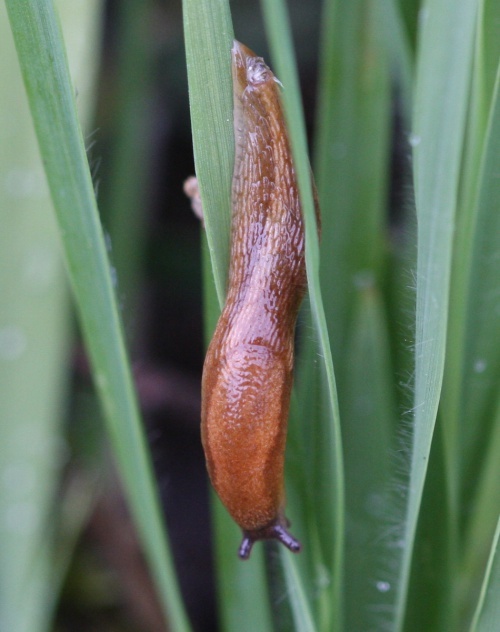 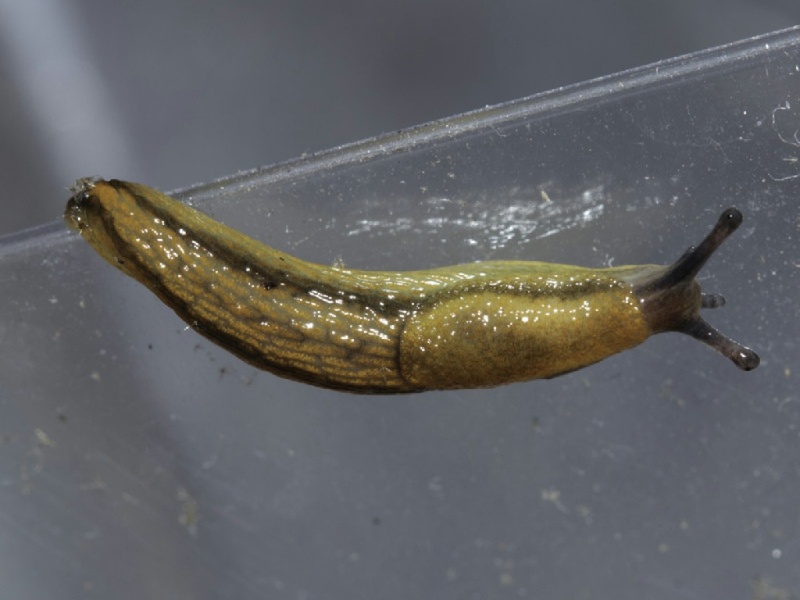 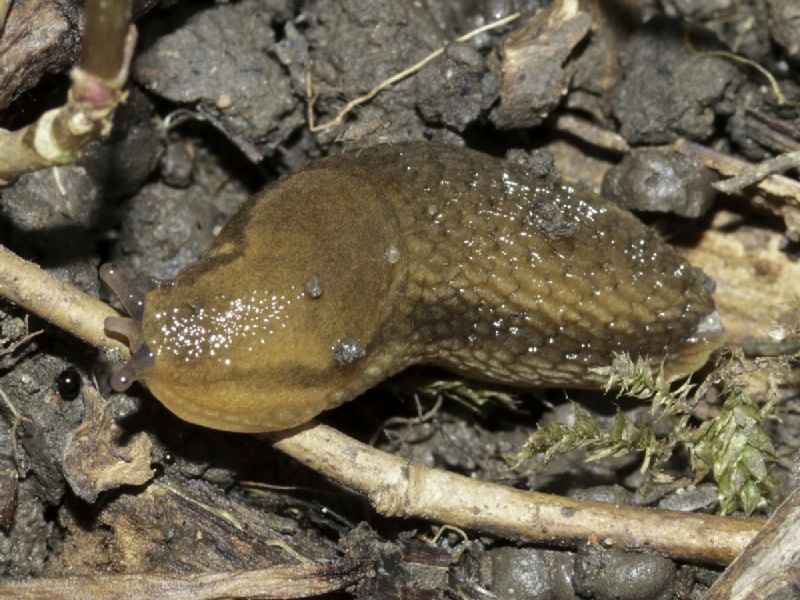 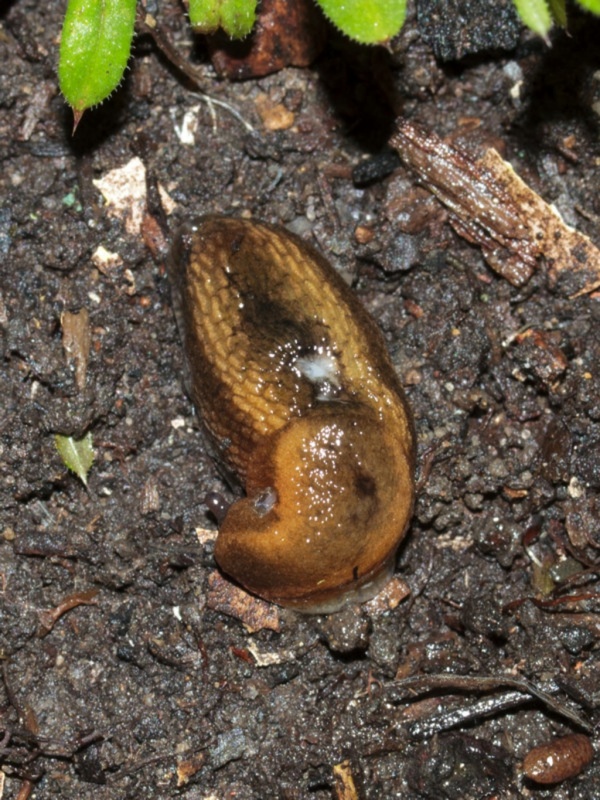 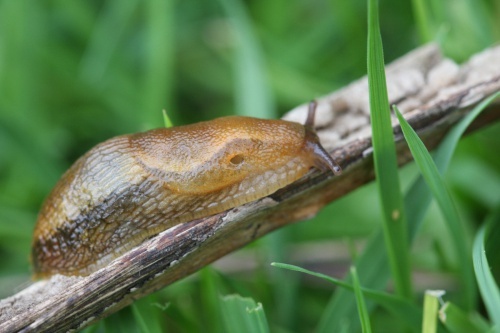 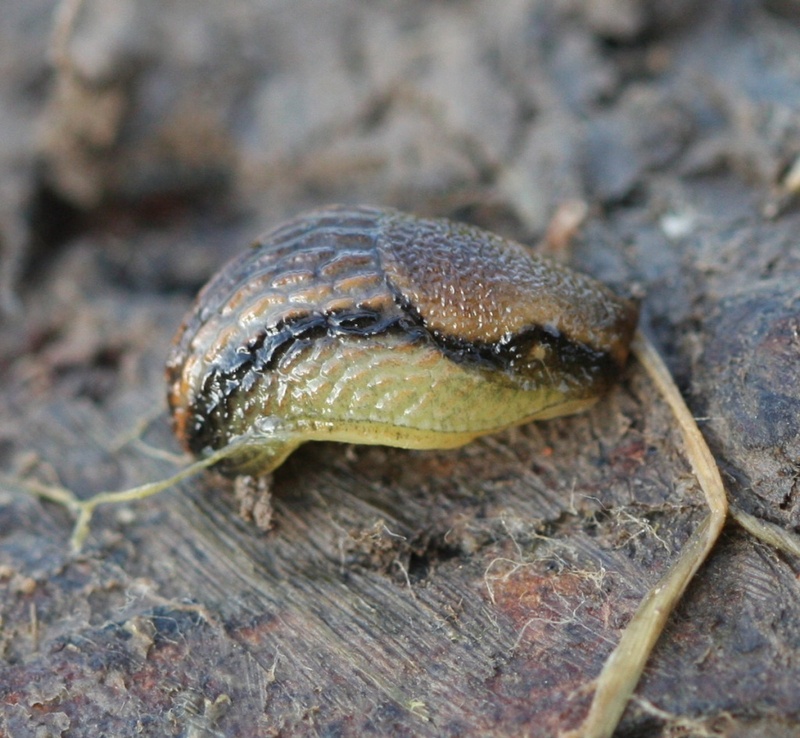 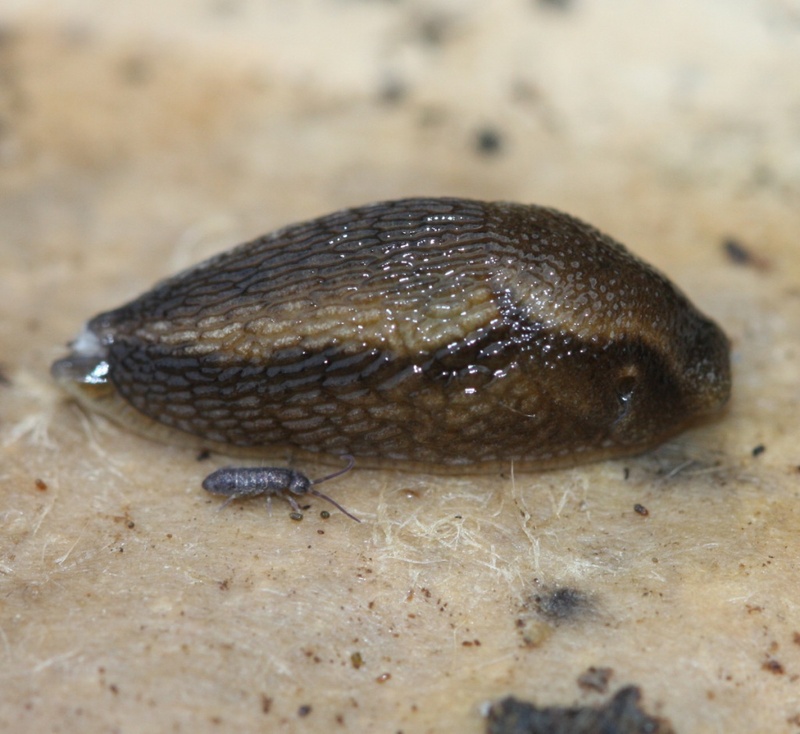 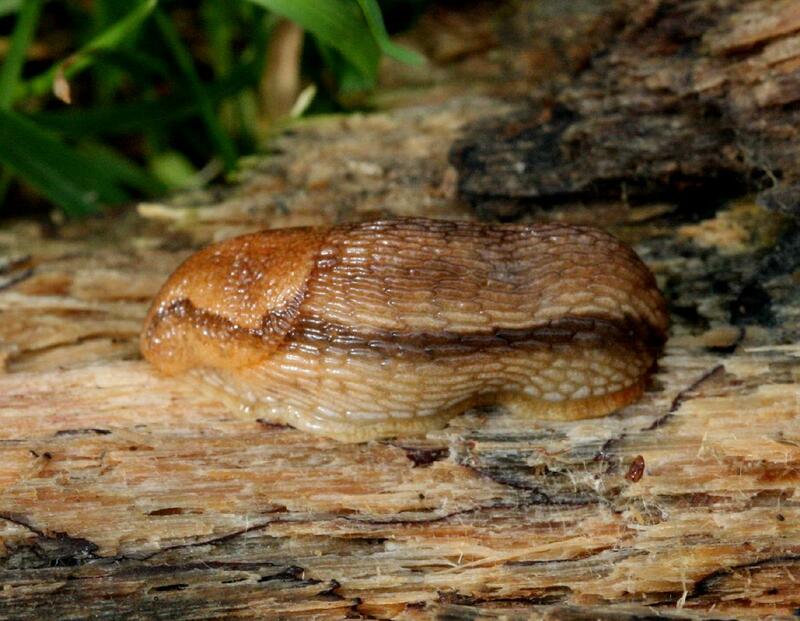 There are two very similar but rare slugs that could be confused with Arion subfuscus, but neither has been recorded in Leicestershire and Rutland. 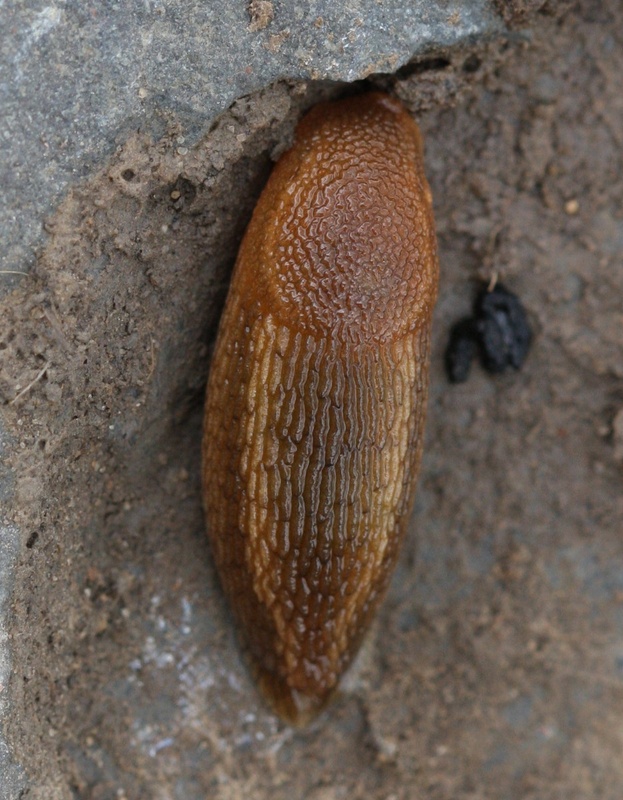 Arion fuscus has been found at four UK sites, including one in Nottinghamshire. 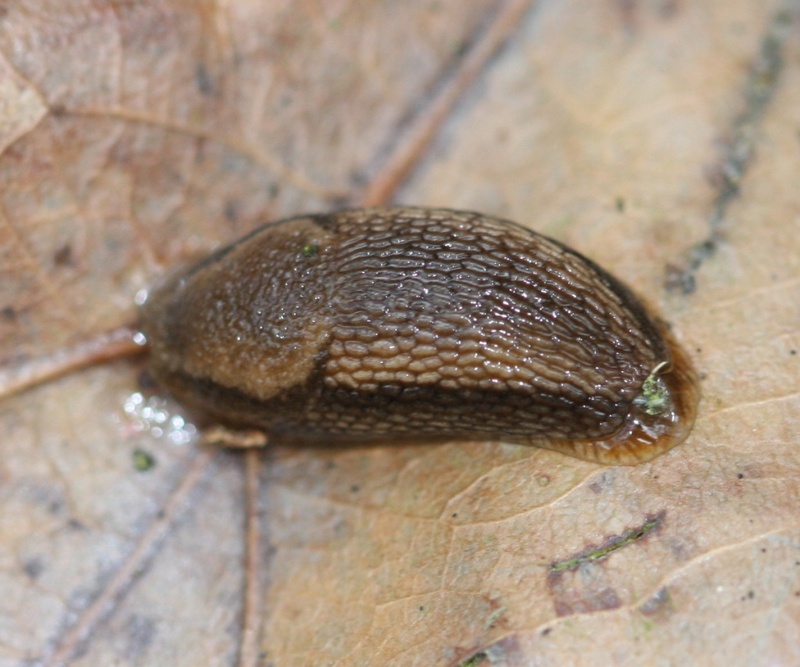 Arion iratii is only known from South Wales. Dissection is needed to separate these species. 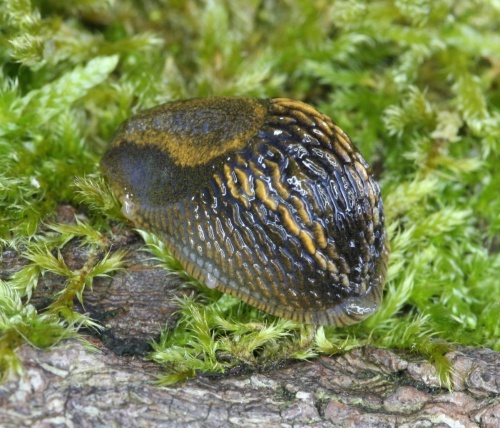 Various well vegetated areas, including woodland and grassland. 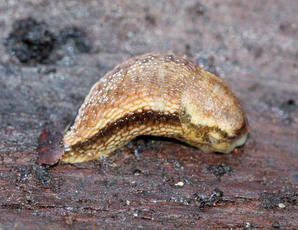 They eat leaves, stems, flowers and fruits close to the ground like strawberries and tomatoes and will also eat fungi. Because of this catholic diet, it doesn't cause much damage to live plants so is not much of a pest. Very common and widespread across the whole of Britain, perhaps less so in East Anglia.